A wonderful show that originated at Exit Art in New York just opened at the Arts Council in Stuart, Florida. (Stuart is close to Jupiter and West Palm Beach, FL which are over an hour north of Ft. Lauderdale and Miami areas.) 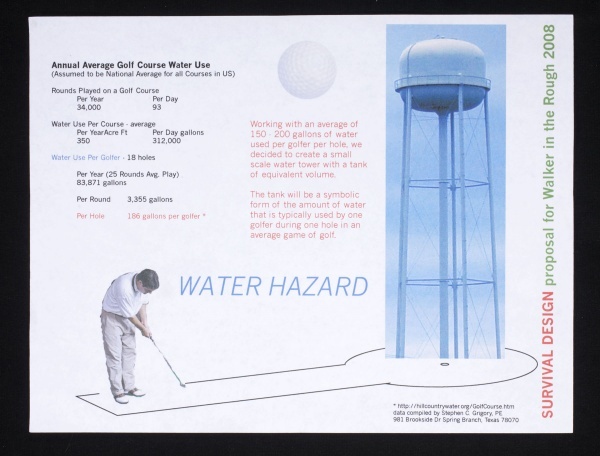 The show is titled E.P.A (Environmental Performance Actions) and was curated by Jeanette Ingberman, Papo Colo, Amy Lipton, and Patricia Watts. E.P.A is a group exhibition surveying recent performance work from around the world that addresses current environmental crises. The exhibition will consist of videos, photographs, texts, related ephemera and a film program documenting recent performances. The show in Florida is a sample of the larger show in New York showing only eight of the original twenty five or so artists. But all of the works in the original show were very strong (quite moving, in fact) so you can't go wrong with a truncated group. If performance art is usually something that either scares you or makes you cringe, this is the show for you. The performances are all documented here (in other words, no one will be dousing themselves in canola oil in front of you). And I was able to fall easily into each performance, wishing I had been able to experience most of them when they originally happened. For we can all relate to what "is happening" to our planet. These artists speak loud and clear though their actions and left me contemplating their messages and work long after I had visited the show. You can still catch the "big show" at Exit Art. E.P.A runs until July 12 at 475 Tenth Avenue at 36th Street. I would head to the Judi Rotenberg Gallery on Saturday to hear Danica Phelps speak about her show Nesting. Karin Weiner, A Year of Many Snow Storms, mixed media collage, 36"x48"
Most people think I do live in Philadelphia. I grew up there, the collection is housed there, family still there, etc. I don't live in Philly, but if I did, I would make a point to see this show. 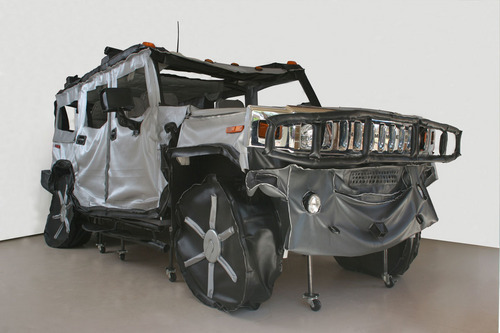 Guaranteed recession-proof pricing: the show contains quite a few emerging artists. I wish the gallery had a website where I could remotely see the art (hint-hint), but as this is their inaugural show, I'll let it slide. Drew Leshko, Kensington and Hart, 2008, Illustration Board, wire, plaster, basswood, acrylic, enamel, 35" x 14" x 18"
Artists: Drew Leshko (one of my favorites), David Dunn, Danny Perez, Spencer Wunder, Mary Deevy, Manuel Dominguez Jr., Jessica Roberts, Gloria Joan Haag, Laura Lee and Susan Houwen, Brieann Robyn Tracey, Carrie Collins, Jason Goldberg, Isaac Lin, Kelly Turso, Adam Crawford, Andrew Jeffrey Wright, Ken Sigafoos, Ben Woodward, Judith Schaechter, Amber Lynn Thompson, Crystal Stokowski, Matt Leines, Jim Houser, Jayson Musson, Andrew Clark, Plankton Art Co., Erich Weiss, Dan Tag, Dave Fox, Carolynne McNeel, Nick Paparone, Shelly Spector, Charles Burns, Aryon Hoselton, Paul E.
Relating to the last post, as luck would have it, the grand prize winners of the WEST PRIZE have a show up now in Philadelphia at Fleisher/Ollman Gallery. Titled "Trophy" the show includes the above work. Their show proves to be an amazing confirmation of our grand prize choice. I am looking forward to seeing and collecting more and more from these two talents. 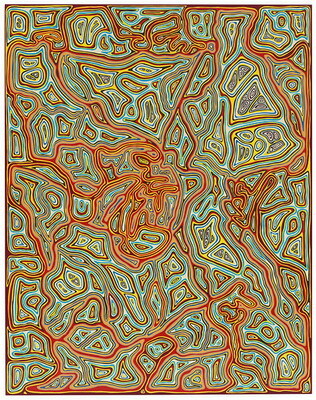 James Siena, Non-Slice, 2005, enamel on aluminum, 19" x 15"
...I'd head to The Contemporary Art Dealers of Dallas Art Fair next weekend - May 30 - June 1. 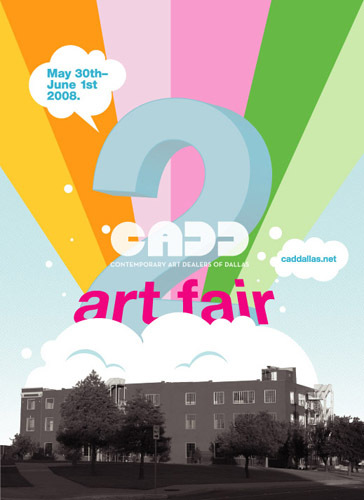 CADD, in its second year, is a small art fair showing Dallas area contemporary galleries only. Eleven galleries. Totally doable in one afternoon. An easy way to check out the Dallas scene in one stop. And if you go, I am the keynote speaker on Saturday from 2:00 to 3:00 - with a book signing. Hope to see you there. 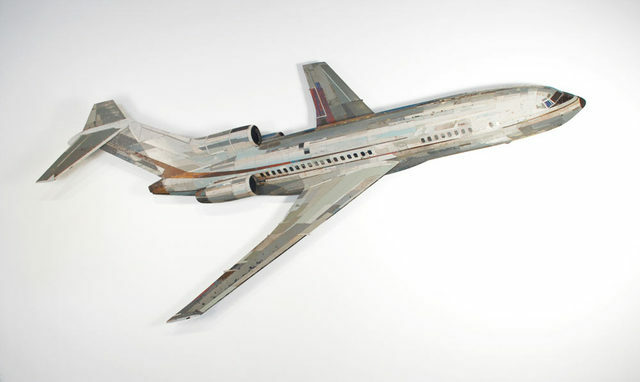 Ron van der Ende, 727, 2008, bas relief/wood, 122" x 55" x 6.3"
Head to the OKOK Gallery for the opening weekend of a small but fabulous one man show - Motor Memory. Ron van der Ende is from the Netherlands and this is his first solo show in the US. He builds his structures out of salvaged wood. (This plane is ten feet wide.) The color of the wood is never changed by Ron. He pays close attention to how the original color adds the illusion of light and shadow - painting with wood. 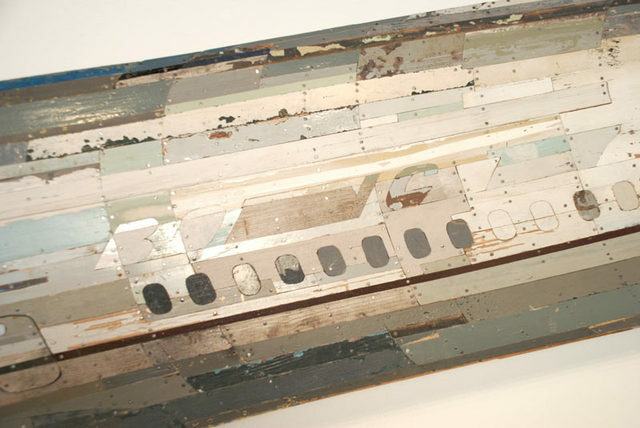 Check out the hint of Boeing's logo in this close up. ...and wasn't planning on being in Chicago this weekend, I would catch the VERY LAST WEEKEND of Car Culture at SMoCA. It is a great small show that is a lot of fun. Great artists (Robert Bechtle, Margarita Cabrera, Robert Frank, Liz Cohen, Amy Stein, Erwin Wurm and others) and one of the best online catalogs I've ever experienced. The design perfectly fits the theme of the show. Speedy and easy facts. So, even if you can't get to Scottsdale this weekend, check out this catalog.